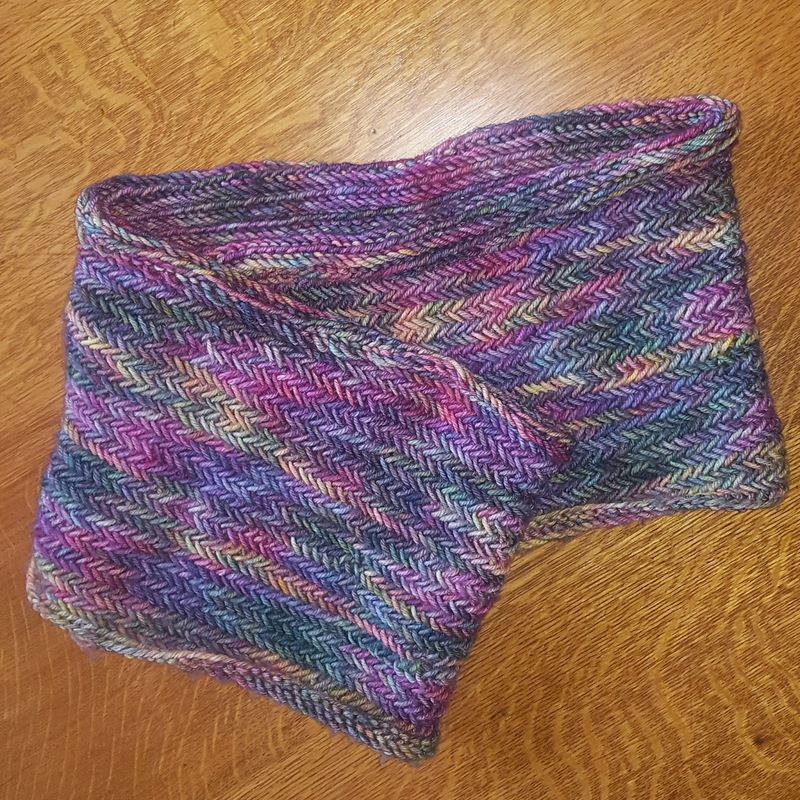 just in time for hot & sunny weather - i finished my big herringbone cowl. ha! 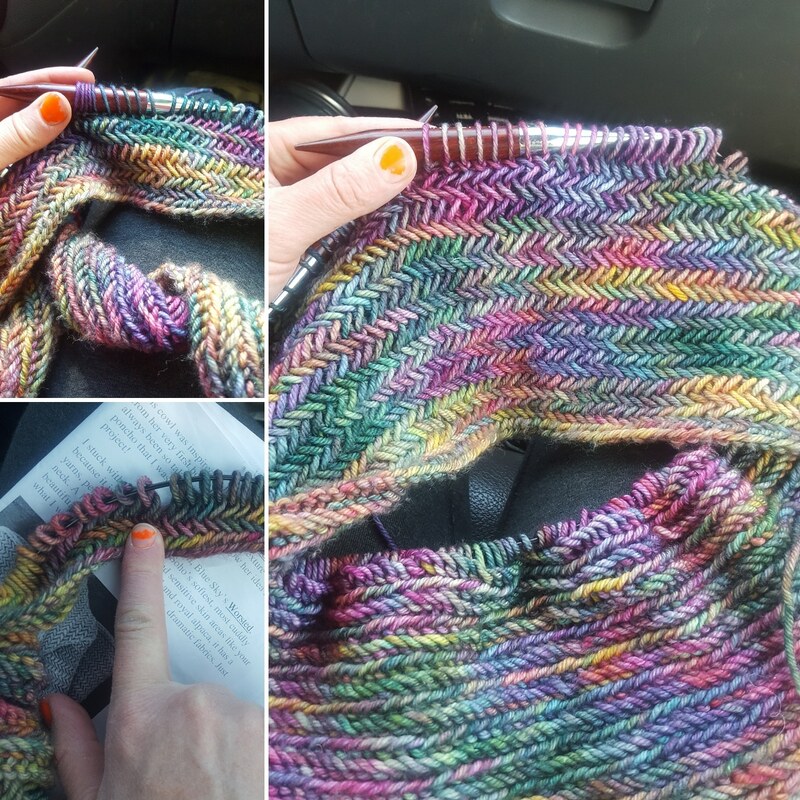 i originally saw this pattern via pinterest, and had to give it a try. it was good for me to stretch my brain and learn something new. i love the texture, so it was satisfying to see it grow. the pattern is from purl soho. i just love their photographs and cozy-looking projects. i love finishing too, because that means i can start another new project, right? 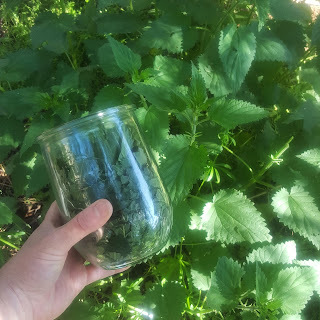 last year i got some stinging nettles plants from the nettle man at the farmer's market. i think i may have used a leaf or two in our meals, but i primarily left it to grow with hopes that it would spread. happily, the nettles are loving their creekside home and this year there is enough to gather and tincture. perhaps next year will bring more for meals and to dry for teas too. additionally, the area is rife with cleavers - and chickweed. 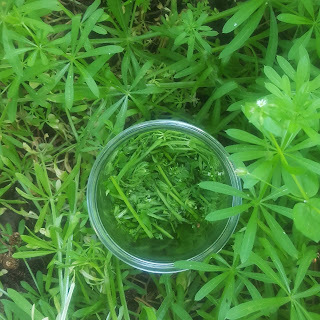 i still have quite a bit of chickweed tincture, so i only gathered the cleavers this time. i did harvest some chickweed and cleavers for juicing too. the plain cleavers juice was so so strong. i put a little in ice cube trays for potential future use, and then mixed the rest with some juiced apple and lemon. it tasted like drinking spring itself. wasn't sure this one would make it. our lemon balm was so happy in our old home that i still have an abundance of dried and tinctured goodness to last a while. 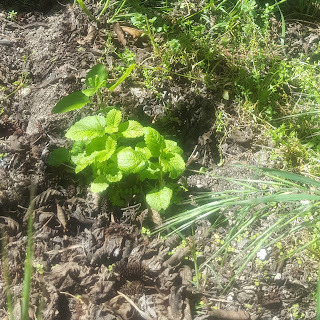 but when this showed up growing in the driveway crack, i transplanted it to the creek area as well. it didn't look like it made it in those last hot days of summer, but it's a survivor! 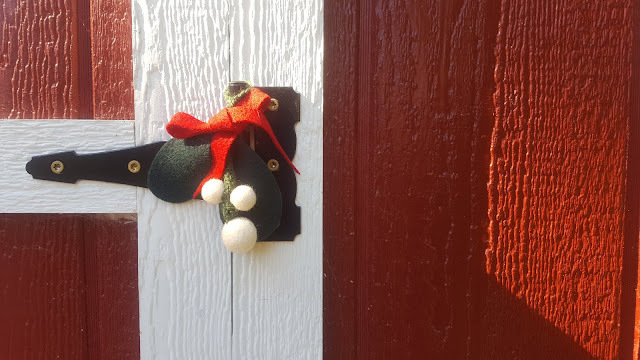 it would be lovely if it decided to spread and stay too. 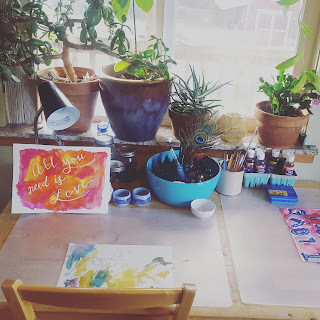 it doesn't always look like this, but i am trying to keep this space in our dining room/kitchen open for painting, drawing, and occasional play doh takeovers. i love that my kids are also inspired to create here.